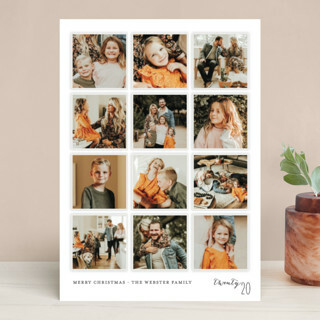 We had our family photos taken about six weeks ago with the specific purpose of having some cute photos to choose from for our yearly Christmas card. My sister in law humored me and took many pictures to choose from....over 200. And then I took a few as well, just of my girls. We have just a few pictures to choose from...ahem. Now comes the hard part.....not just picking out the best pictures for our card but also picking out the actual card. In comes Minted. 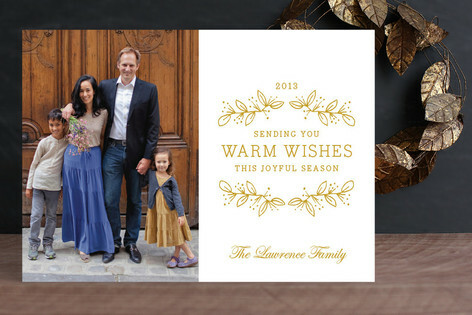 They contacted me to see if I would be interested in sharing some highlights from their new holiday card collection. Um...YES! 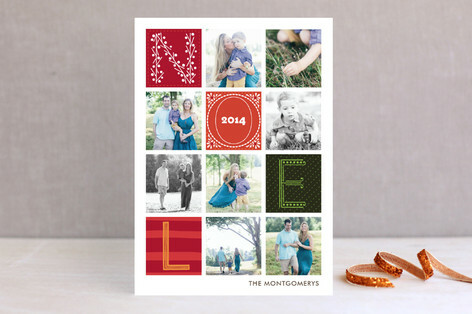 They have such a beautiful array of cards to choose from and I picked a few of my favorites to share with you. 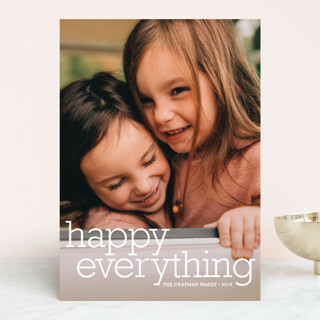 I love the look of traditional cards and was especially drawn to this one since it encompasses it all.....Happy Everything! 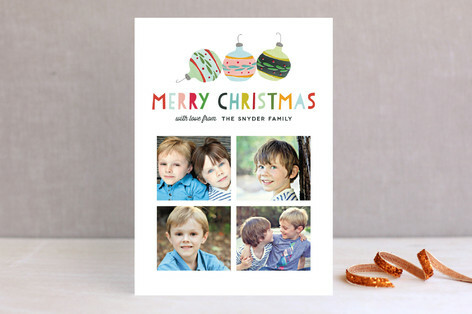 And I just love the colorful ornaments and four picture option on the Joyful Ornament card. I have a love of all things (most things) retro so when I saw this Retro Whimsical card I just fell in love with it. I just love the pink, black and yellow! I personally love getting letters to go along with the Christmas cards we receive in the mail. I like hearing about what's been going on with our friends and family and how their year has gone. But let's be honest....that takes a lot of time and we don't always have that time every year. I like the Year in My Life card because no words are necessary....you can get the whole story from the pictures. This is especially perfect for candid shots and not worrying about having more formal pictures taken. Which brings me to the Family Year in Review. 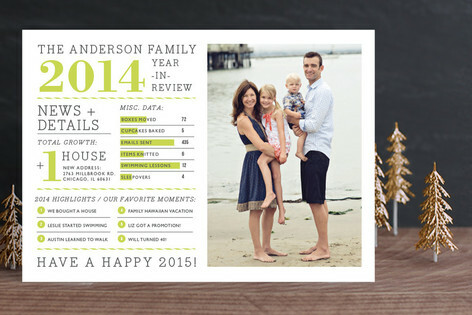 A cute photo card that also includes the basic family statistics for the year all in one pretty little package. 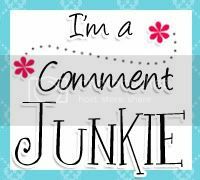 This is sounding perfect for my little family this year because between school, dance, Nutcracker practice, homework, play work and all the other fun things going on, I just don't know if I have enough energy and a long enough attention span to write my usual thrilling update letter. And this last little gem also caught my attention. 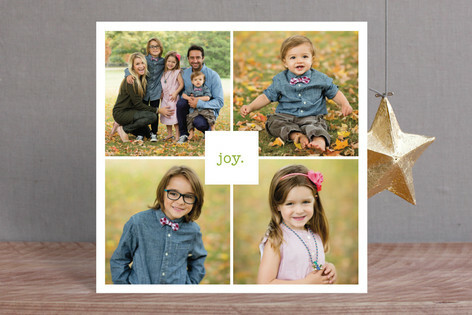 Since we had our pictures taken in the fall, I want to make sure that whatever card we pick compliments the natural colors in our pictures. 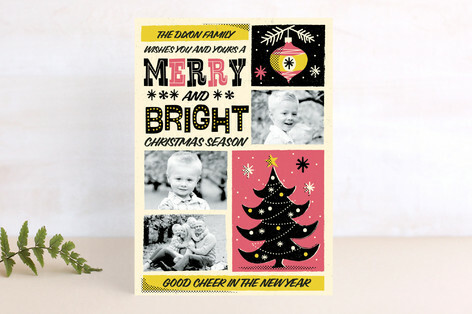 The beautiful gold script wouldn't clash and the card itself has such a classic holiday feel to it. Joyful Season is right! Amazing Chaos Family Photo Shoot Coming Soon!!! I just love Minted!! 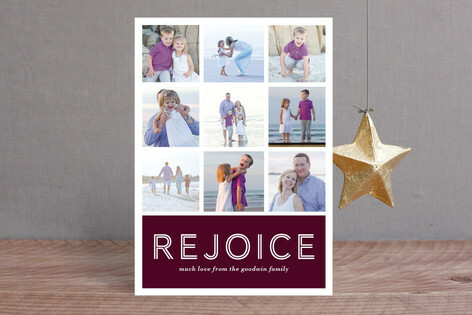 Love all of the different cards you are looking at - can't wait to see what you ended up deciding on and seeing pics of your family!!! Seriously love all the cards! I'm gone have to go with them next year! Thanks for all the info! This is the ONLY time of year that I love getting the mail. Way cute cards.